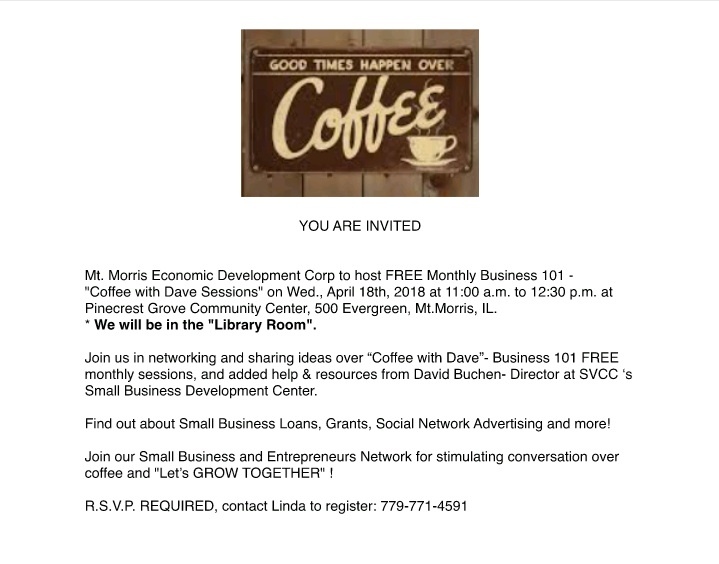 IMPORTANT MESSAGE – Today’s “Coffee with Dave” meeting has been CANCELLED! I am making phone calls, sending out emails & text messages to “ensure” everyone gets notified. I apologize for the duplications in advance. Please take a moment & acknowledge you have received this message, so I know not to worry about you. Due to mother nature & forecast predicting icey rain coming in around 10am….Today’s “Coffee with Dave” meeting has been CANCELLED. We don’t want anyone traveling in bad road conditions. Safety comes first! See everyone next month …which will be on 5/23….